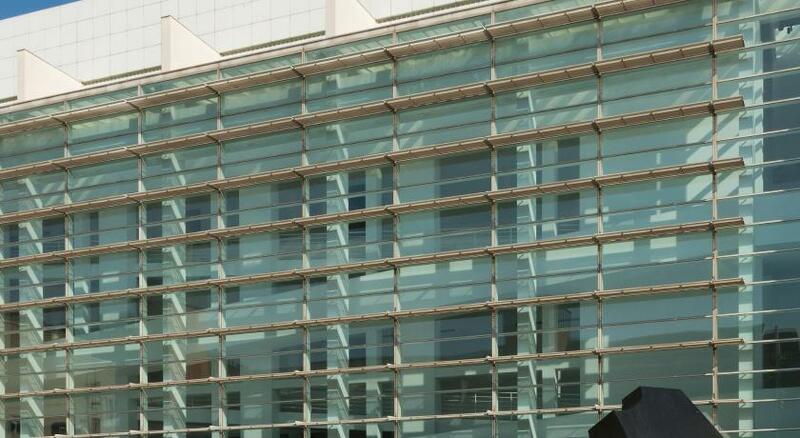 Lock in a great price for Motel One Barcelona-Ciutadella – rated 9.2 by recent guests! Beautiful design, gracious staff, reasonably priced breakfast, decent rooms. 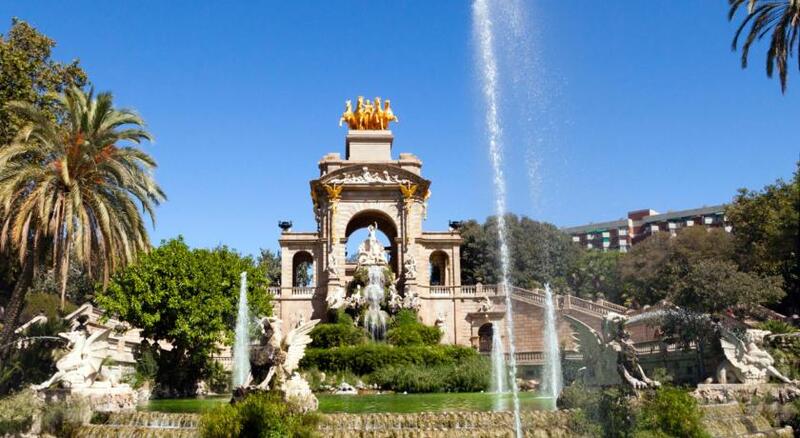 The hotel is in a great area - right next to Arc du Triumf and Park Ciutadella. 10 minute walking to la rambla. Everything is new (the hotel was opened în february 2018). Rooms are not so big as in the pictures, but the facilities are great. Clean rooms and bathrooms, great breakfast and very helpful staff. We highly appreciated that they allowed us to let our suitcases there and checked us in at 10 o'clock in the morning because the room was clean. Nice hotel and good value for money. The breakfast was really yummy and convenient. Also, we got in really late one night and didn’t wake up until after noon. Oops. But it was so quiet and cozy in the room. We had no idea it was SO late! Brkfst Great variety and quality. Staff very friendly and very helpful. Great attention to detail in the room including racks to hang coats, USB ports by the bed and great shower head! Loved the design of this hotel! The location was absolutely perfect as well. I would definitely stay here again. The breakfast was a little over priced in my opinion, but otherwise everything was great! Nicely located with public transport within reach , friendly welcoming staff , good breakfast served and bed is comfi . The hotel is centrally located. Great area, near restaurants and popular things to do. We enjoyed it. The only small downside is the room is small but it’s expected from an European hotel room. Perfect stay!! Exceeded our expectations. Hotel super clean. Was worried about size of the room from the other comments however we had no problems, stayed for 8nights and the room was a suitable size for our stay. Everything is within walking distance of the hotel plus the gothic quarter is crazy close. Hotel staff very friendly and helpful at getting us tickets for a Flamenco Show and any general questions. Great view from room and rooftop. Near public transportation. Friendly and professional staff. Motel One Barcelona-Ciutadella This rating is a reflection of how the property compares to the industry standard when it comes to price, facilities and services available. It's based on a self-evaluation by the property. Use this rating to help choose your stay! Set in Barcelona’s Born District, right beside Ciutadella Park, Motel One Barcelona-Ciutadella offers modern, air-conditioned rooms with a private bathroom and an interactive TV. Motel One Barcelona-Ciutadella features a 24-hour lounge bar and a continental breakfast is available each morning at the property. The hotel also has a rooftop terrace with views of Ciutadella Park, the sea and the Barcelona skyline. 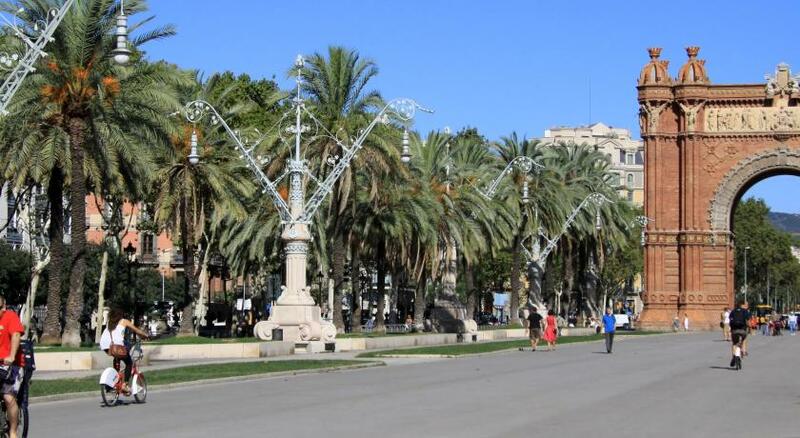 Plaça Catalunya and the Ramblas can be reached in a 20-minute walk, as can Barcelona’s Olympic Port. The Sagrada Familia is 30 minutes’ walk away. 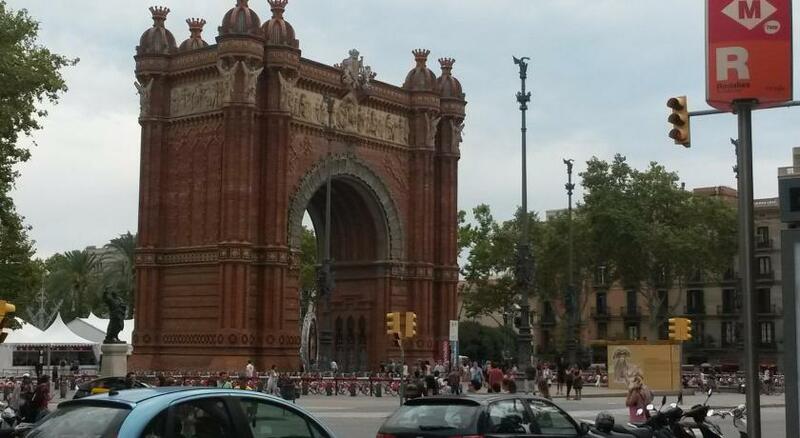 Arc de Triomf metro and train station is just 1,300 feet away. Motel One is only 20 minutes from the International Convention Center – CCIB FORUM and 30 minutes from the Fira Barcelona Exhibition Center in public transport. When would you like to stay at Motel One Barcelona-Ciutadella? Private parking is available at a location nearby (reservation is not possible) and costs EUR 20 per day. House Rules Motel One Barcelona-Ciutadella takes special requests – add in the next step! Motel One Barcelona-Ciutadella accepts these cards and reserves the right to temporarily hold an amount prior to arrival. It’s probably our own fault but we didn’t research the motel properly . Our room was an internal one and had no view at all , when we checked out we asked about the park facing rooms and were advised that at the time of booking we could have paid a supplement for a view over the park , next time we will definitely do that . otherwise there is nothing to dislike . Spotlessly clean , brilliant front of house staff , excellent continental breakfast ( very busy) , set in the best location in town , we will return for sure . Fantastic furniture and fittings in the lounge area , the bed room of minimalist design and the bed was huge ! Amazing power shower , the rooftop area is amazing , only spoilt by the inclement weather . Looking to book again very soon. Nothing, I couldn’t fault it. The hotel is very modern and the deco is great. The staff couldn’t do enough for us, every single one of them was just so nice and helpful. Nothing was ever any trouble. And smiles all round. 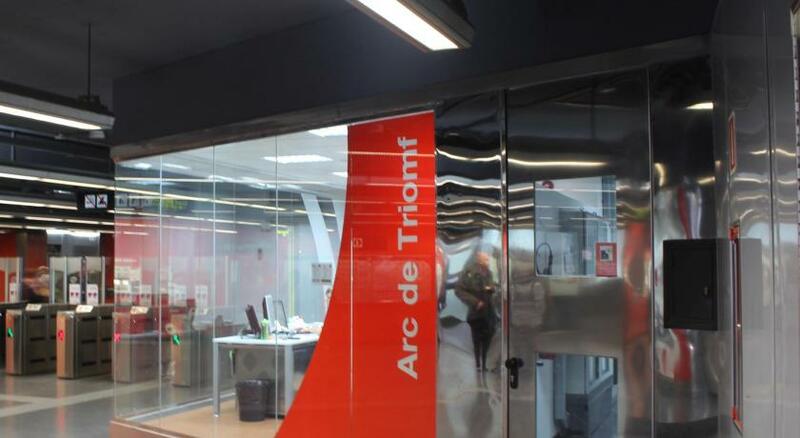 Friendly, helpfull staff, good location! Hotel was according to our expectations, nice style and good value for money! The roof top bar had great views across the city and the drinks were reasonably priced in comparison to other hotels we have stayed in. Staff were friendly - we requested an interconnected room as we were travelling as a family of four, the was accommodated and worked really well for us. Rooms were modern and had everything you would need for a short break. Rooms could be bigger. Selection for breakfast could be slighly better. The reception staff were 1st class. This hotel is located in perfect place near the park Cuitadella (where parrots are living)! I love the color theme of hotel, beautiful lobby and terasse, polite employees and accomondation. Highly recommended! One of the best hotels we have EVER had the pleasure of staying in...swinging chairs in the bar were so relaxing! Would highly recommend this hotel. It's in a fabulous location. Across from a beautiful park and walking distance of bars and restaurants in el born and gothic quarter. Superb!